Simonelli Group CEO Fabio Ceccarani on adding market value and why it’s time for the manufacturing industry to invest in more sustainable practices. Fabio Ceccarani is well aware that Italian espresso machine manufacturer Simonelli Group has a privileged position. 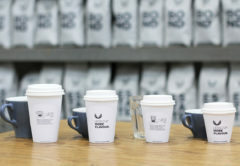 It’s an industry leader in its field, yet is responsible for one of the most important parts of the value chain – the end result in the cup. “It is an incredible honour to know that our machinery contributes to the customer’s coffee experience. But because of this privileged position, we also have a big responsibility to make coffee in the fairest and most sustainable and respectful way possible,” Fabio tells BeanScene. A mechanical engineer by trade, Fabio started his journey with Italian coffee machine manufacturer Simonelli Group in May 2008. Soon enough, he found himself on the Board of Directors where he stayed for 10 years, overviewing and implementing company strategies before taking the CEO title in 2018. His leadership is the result of many years of commercial and technical work in the tobacco and high-end furniture sectors, two industries Fabio says in many ways couldn’t be more different, yet are so similar, to coffee. “Looking back, it’s funny to think how both tobacco and coffee are both products that create an experience and remain something people want and crave,” he says. 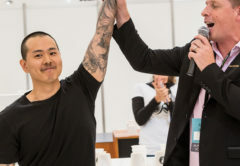 Despite the differences, Fabio says his commercial training taught him important skills he still values today, including marketing techniques, strategic partnership development, and how to bring value to the market and respect clients. Over the past 10 years, Fabio has witnessed the evolution of the Nuova Simonelli brand, including the decision to form the multi-brand company Simonelli Group in 2017, which encompasses Nuova Simonelli and Victoria Arduino operations. Simonelli Group is the first in the coffee industry to be part of the On greening network. One of those opportunities involves a drive towards innovation, which Fabio also sees as one the company’s greatest challenges. 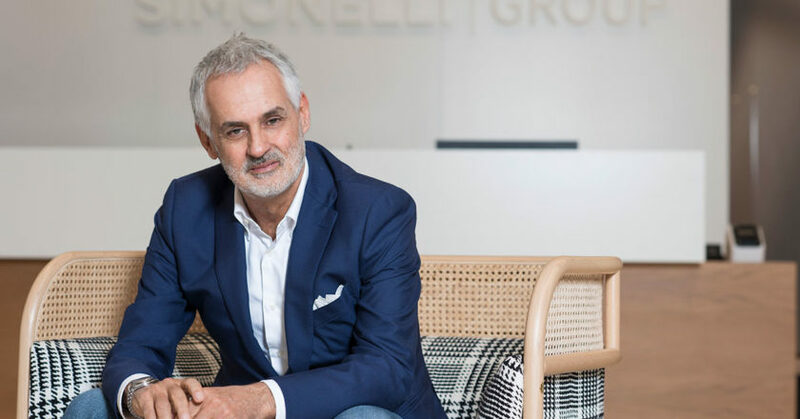 “Simonelli Group has to be even more innovative to anticipate the needs of the market through new technologies, which have meaning only if they bring more value to our customers. 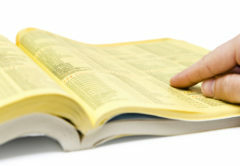 The coffee and non-coffee oriented chains are paying particular attention to coffee business. As a result, our approach needs to be even closer to them sharing our values and stories,” Fabio says. That value is already being felt in cities that have established Simonelli Group branches and showrooms, including Jakarta, Shanghai, London, Barcelona, Milan, and New York. 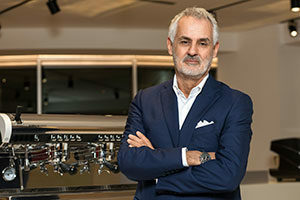 While company expansion and brand development are always front of mind, Fabio says more than ever, the Simonelli Group is focused on its sustainable commitment, and encouraging the wider industry to join its plight to do more. “Sustainability is about much more than an environmental problem. It’s about economic and social values. We put a lot of effort into embracing this approach for our stakeholders. We have an obligation and a clear goal to dramatically reduce our machines’ consumption of energy and the impact our machines have on the environment. That will be the biggest issue we need to address within the next year,” Fabio says. To start the transition, last year Simonelli Group started a collaboration with Ongreening, an independent reference for sustainable architecture, green building rating systems, and environmental friendly building materials. 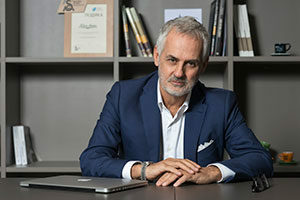 Simonelli Group CEO Fabio Ceccarani has committed to a sustainable office and manufacturing building. Through the Ongreening website, Simonelli Group presents a comprehensive overview of Nuova Simonelli and Victoria Arduino coffee machines from the perspective of sustainability. There, architects, engineers, designers, managers, and chains can see how its coffee machines potentially contribute to major green building certification systems, such as LEED (Leadership in Energy and Environmental Design). In 2018, the Simonelli Group entered its new 3000-square-metre headquarters with a strong consideration of waste reduction. Energy for the building is taken from solar panels, and all water is now recycled. 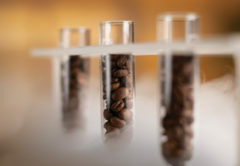 Five years ago, in collaboration with universities, Simonell Group started a study in order to better understand carbon dioxide emissions during the entire lifecycle of its coffee machines. 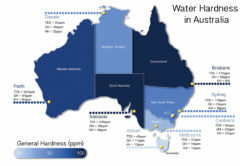 The Life Cycle Assessment study demonstrated that 2 per cent of CO2 emissions are caused by manufacturing and the 98 per cent by the working phase of the coffee machine. As such, Simonelli Group continues to work on solutions and technology that can reduce energy consumption and waste. The launch of the Aurelia Wave in 2017 is what Fabio considers to be the most advanced and sustainable machine in the Simonelli suite of machines. “The Aurelia Wave was a clear statement that we can invest in the materials we’re using and the processes we undertake to manufacture sustainable machines,” Fabio says. Ongoing, the Simonelli Group, together with other European coffee machine manufacturers, is committed to collaborating with the European Commission in order to define an energy rating system to measure the sustainability of coffee machines and provide a “seal of approval” to inform prospective purchasers that the product is highly energy efficient. “This is a brand new system we’ve just launched. We have been working for three years now with the European Commission committee and manufacturers in Germany and Switzerland on how to define new protocols so we can measure what is sustainable and energy saving,” Fabio says. Other appliances already have energy star ratings, such as televisions and dishwashers, and soon coffee machines will have this rating too. Once the protocol and criteria are defined, Fabio says Simonelli Group will put energy star logos on the machines that have reached a certain energy requirement. This article appears in FULL in the April edition of BeanScene Magazine. Subscribe HERE.